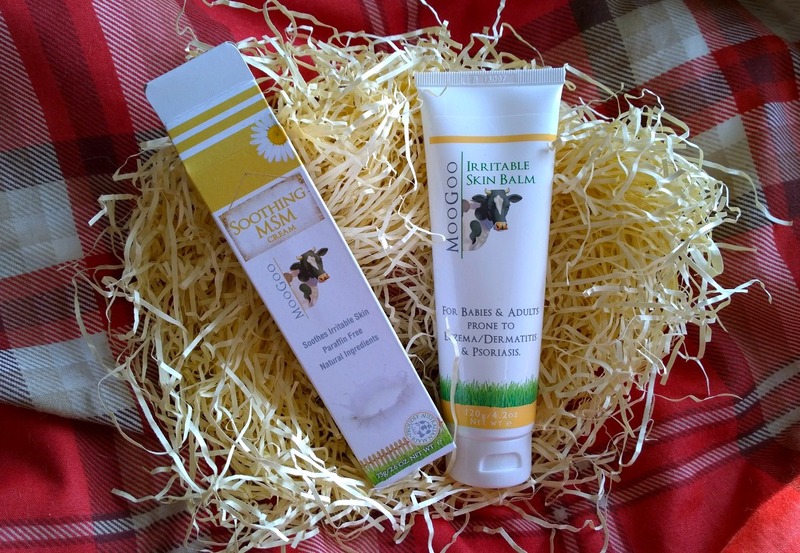 I've been using Moo Goo's Irritable Skin Balm daily, particularly after treatments. I've also used this on Ethan, as it's good for eczema and dermatitis as well as psoriasis and Ethan's had some bumpy skin on his arms for a while now. It's nothing to worry about but I'm keeping an eye on it. After a good few weeks of continuous use, I can report back that both this and the Soothing MSM cream is nice to apply and has really helped me to moisturise my skin with ease. It's not too rich but it's also not too slippery, it absorbs well and my skin feels well moisturised after. And how cute is the packaging, mimicking milk cartons? With light therapy, my skin needs more moisturiser than ever and I've kept one of these in my handbag at all times. I've enjoyed using Moo Goo and have plenty left to keep going for a while yet. Whether you have problem skin like me or you're just looking to try something new, give this a go and say 'moo!' to dry skin. * Thank you again to the Moo Goo team - I really appreciate your help and advice!